Clear coat. This layer also has glossiness mapped through an organic texture that contains fingerprints. I like to use it sometimes instead of noise, as I think it has a more natural randomness in terms of distribution of values. 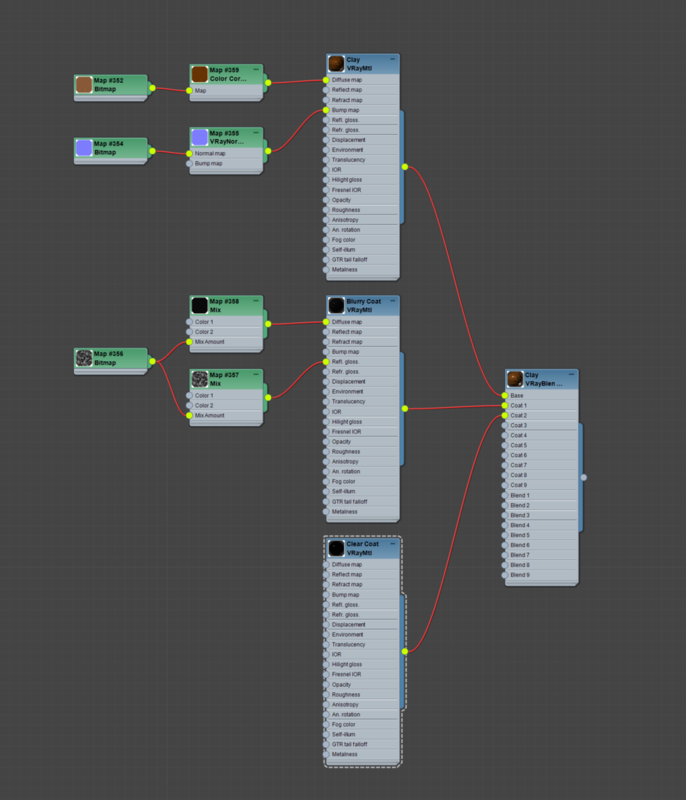 Mix Map that uses this texture as an input compresses all the values to a very small range. Thus, the glossiness variation is very small (almost indistinguishable) but adds extra realism through imperfections. Clear coat with macro cracks and scratches (from excessive hand polishing and temperature changes). This is a very light layer that simulates surface irregularities that create the glowing nature of the main specular component.